Heavy duty cable sets, correct metric size lugs! 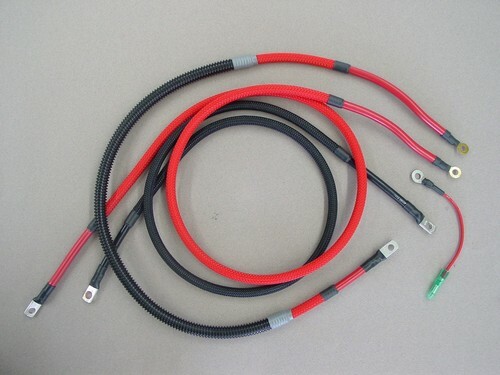 Braid cover is typically red and black, or you can request any color shown with our plug cables. Please send us a contact email to order. Top quality cable sets for your Superjet, Blaster or other typical Yamaha application. Cables can be standard configuration, or for use with relay terminal kit. WE USE EXACT OEM MARINE GRADE STRANDED SILVER TINNED CABLE ! !